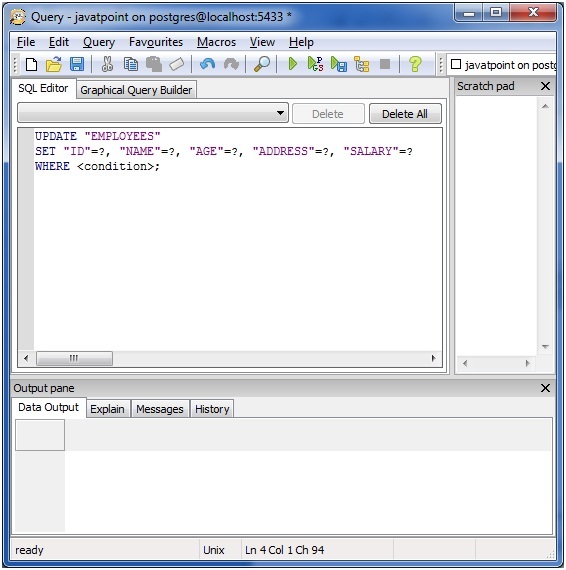 In PostgreSQL, UPDATE statement is used to modify the existing records in a table. To update selected rows, you have to use WHERE clause otherwise all rows would be updated. 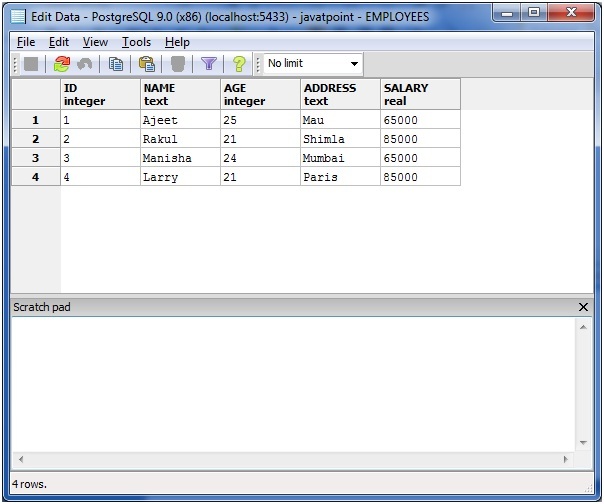 Consider a table named "EMPLOYEES" having the following data. 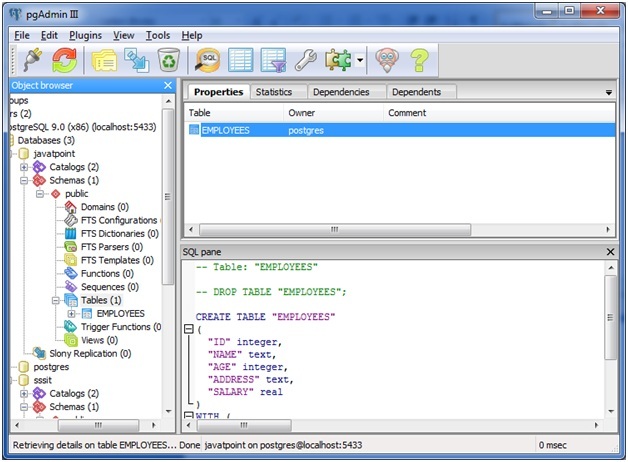 Select table "EMPLOYEES" and right click on that. You will see an option script, move your cursor over scripts, you will see "UPDATE script" option. Click on that. Put the values on the place of "?" 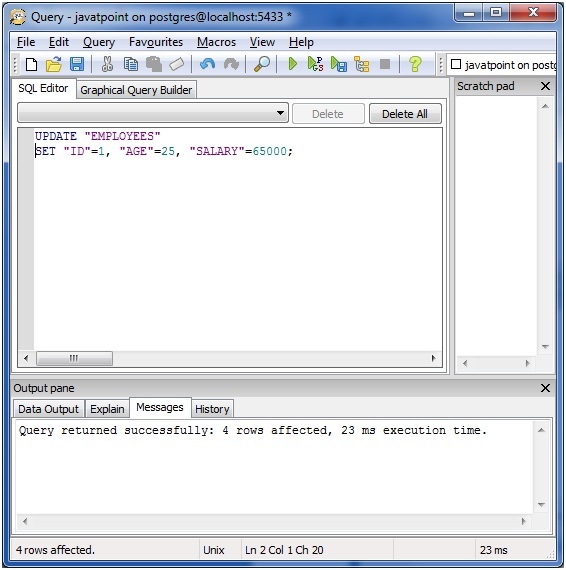 and fulfill the WHERE condition then click on the "play" button to execute the query. Update ID, AGE and SALARY of the table "EMPLOYEES". You can see that three columns have been updated: ID, AGE and SALARY.